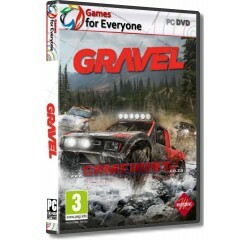 Gravel - R160,00 : Game Hunt, Where we lead, others follow. Enjoy four different disciplines - Cross Country, Wild Rush, Stadium and Speed cross - to live the driving experience with the most extreme vehicles on any type of terrain. A COMPLETE OFF-ROAD EXPERIENCE - Take a tour around the world to discover the range of extreme and wild environments that will offer you a fully off-road experience. There are four disciplines where you can compete with the most powerful cars.